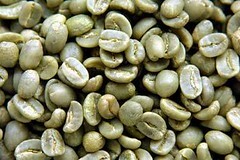 We have four new green coffees in available for Roast to Order. We have a fantastic screen-dried Organic Ethiopian Idido Misty Valley. This coffee is perhaps the most astounding Ethiopian coffee in recent years. We also have a smooth, bold, and fruity Kenyan AA, and a Uganda Bugisu that has its resplendant mouthfeel and heavy organic fruit notes. Finally, we have added an estate grown Honduras Pacarama, and the cultivar in this coffee makes it shine with smooth nutty and cinnamon spice cup.